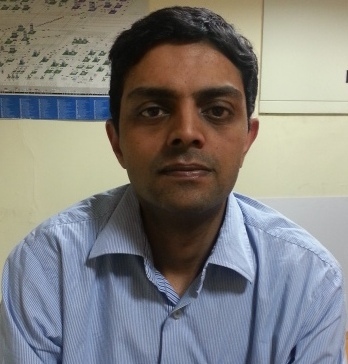 Shyam Ananthnarayan is the head of marketing for the product engineering division at Tata Elxsi. He has held various general management positions at Tata Elxsi including marketing, key account management and business unit management. Currently his responsibilities include steering all marketing activity for the product engineering business. Prior to Tata Elxsi, he has held various senior management positions globally at HP, Ness including product management, marketing and operations management. He has over 10 year’s senior management experience and 17 years overall experience. Shyam holds B.E from Bangalore University, an MS from Syracuse and an Executive Management Diploma from IIM-Bangalore. 1. Tata Elxsi has developed telematics based solutions for its global clients like the Passive Entry Passive Start System, Driver Drowsiness Detection System, etc. How do you see the applicability of these solutions in India? The Infotainment/Telematics market in India is still in a growing stage but the flourishing automobile sector is seeing a large number of organized players entering this segment with technology oriented products and accessories. These players have been bringing together a blend of entertainment, interactivity and information that help customers with the right access to infotainment on the move. Moreover, the growing urban population in the country is providing huge opportunities for players to launch customized and more innovative products. Having said this Indians are price sensitive and hence they would prefer solutions which are cheap but at the same time cost effective. Currently, the penetration of Infotainment & Telematics applications in areas like safety, commerce, communication and entertainment are mostly focussed on high-end models but gradually this is expected to pick up in the medium/ low price points. We are already witnessing improved HMI, integrated navigation systems, voice recognition, emergency assist etc. on Indian cars so the applicability of many other advanced features will happen in the future. 2. Do you think there are any impediments in the growth of telematics industry in India? Robust connectivity is a prime factor to improve the telematics market in India. As we see today more vehicles are equipped with GPS based connectivity which helps in vehicle tracking, fleet management, emergency assist, fuel conservation etc. but lack of connectivity which is comparable to the developed nations can hinder the growth of telematics in India. Due to this, advanced features like car-to-car communication, car-to-infrastructure communication and cloud based navigation etc could take a back seat. We feel that it’s the joint responsibility of network service provider, telematics system manufacturer/OEM and the government machinery to streamline the telematics ecosystem in the country. 3. Do you think there is a need for regularization or standardization of telematics solutions in India? As mentioned earlier the growth is directly proportional to the effectiveness of the telematics ecosystem and if that has to happen standardization plays a major role. Improving the wireless connectivity part is very important and for that network service providers need to strengthen the existing infrastructure. It’s also very important from the government side to come out with roadmaps to strengthen the telematics industry in the country. Features like Emergency Assist or ecall could be made compulsory inside vehicles within a stringent timeline which will enable other players in the ecosystem to come out with their innovative products and solutions. This will also enable the telematics players to team up with OEMs to come out with cost effective solutions offering better features to the Indian customers. 4. How do you see the telematics industry in India shaping up in the coming years? We at Tata Elxsi foresee the future of telematics industry to be very promising and exciting. Though there are few roadblocks, the Indian automotive industry will witness a further surge in demand and we will definitely see custom made solutions applicable to the Indian scenario. Indian customers are already aware about the different features available in European and US markets and their expectations are quite high. The challenge for telematics industry in India will be to provide the same solutions at a lesser cost. Eg: The software that gets developed should be configurable and scalable as it should support multiple languages. Mobile phones have influenced the automotive industry across several levels and will offer great opportunity for car manufacturers to improve the customer’s driving experience. OEM’s are closely working with mobile phone manufacturers to develop interfaces that allow drivers to use new features in the car. Smart phones will soon be replacing expensive navigation systems with numerous applications such as locating parked vehicles, tracking traffic conditions and fuel costs, offering breakdown assistance, reading emails aloud while driving are some of the trends in store. This will be an advantage in India, as we have a large penetration in the Smartphone segment that could very well drive the growth of in-car entertainment. In addition to this the three main areas that can directly contribute to the growth of in-car infotainment’s eco-system are safety, security and comfort with services such as remote diagnostics, vehicle relationship management, insurance management and fleet management. 5. Can you share with our readers your offerings for the M2M/ IoT industry? Tata Elxsi today is in a strategic position to collaborate with IoT vendors. Our Embedded Product Engineering business cuts across the key segments like Telecom, Healthcare, Automotive, Home automation and Consumer Electronics where the adoption of M2M/ IoT promises to make a difference in human life. Some of our recent projects in these segments include Intelligent Signage systems, Wearable Technology devices for health monitoring, modems/ gateways for industrial communications, connected camera to drive pattern monitoring etc. Being part of an ecosystem of partners and customers, which includes not only OEMs or ODMs but also silicon vendors and service providers gives us access to the aspects of service and experience design, latest platforms from silicon vendors and the service delivery platform for analytics and billing applications. 6. How do you see the present market scenario for the M2M/ IoT industry in India? In a developing country like India, where even a small increase in mobile data traffic enhances the country’s GDP significantly, Mobile Network Operators will have to drive the M2M / IoT adoption. The MNOs, under constant pressure to increase ARPU, are expected to take the M2M route to innovate, design innovative services, and unearth newer revenue streams, while solving some of the basic problems that India is facing today. The possibilities with M2M/ IoT in India is endless with improved remote health diagnostics, energy conservation, traffic congestion management, improved ticketing or tax collection facility etc. just to name a few. While the adoption has not happened on a mass scale yet, there are several examples where mobile MNOs are already working towards addressing some of the challenges mentioned above. With funding from the Indian Government in projects such as UIDAI (Unique Identification Authority of India), Micro-Banking, Jawaharlal Nehru National Urban Renewal Mission (JnNURM) and enhanced PPP (Public-Private Partnership) there will be increased value for corporate and entrepreneurs to focus on M2M/IoT goes forward. 7. What are the future plans of Tata Elxsi in M2M/ IoT space? On one hand we are working with our customers in various segments such Automotive, Healthcare & Telecom, to develop various M2M solutions. On the other hand, we are also developing our Eco system further with partnerships. Keeping the larger Tata Group’s objective of giving back to the society in mind, while enhancing our business, we see the Service & Experience Design playing a key role going forward. Be it any segment, starting from the smart cities or solving basic infra issues of connected healthcare services, we intend to mix service design and consumer preference into newer solutions we develop to help address the real challenges faced by consumers.